SickKids Foundation was setting records for donations; however, the money was coming from the same donor set, which was aging out and skewed heavily female – a similar challenge for many not-for-profits. 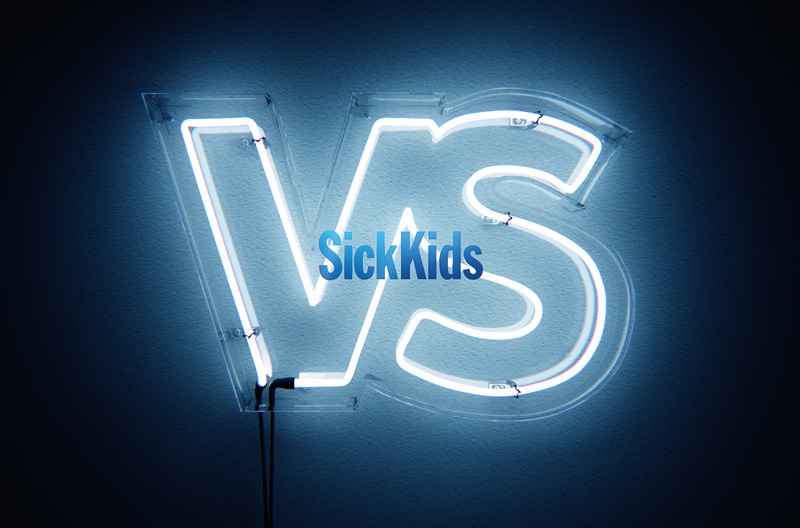 SickKids needed to jolt new donors off the sidelines. Agency Cossette was asked to attract net new donors while maintaining a base with a platform that would provide SickKids with years of opportunity. In the past, the Foundation played off individual stories of need, asking people to come together to help with the “Together We Can” platform. Consumers had begun to expect a specific dire tone and message from cause marketing, which was also being adopted by many CPG and consumer brands due to its empathetic appeal. Some people have learned to ignore the pleas that seemingly come from every direction. In order for new potential donors to donate, they need to know that they can help achieve tangible results even in the smallest donation amounts. When the team tested the platform idea with Canadians through an online survey, it validated the research. The agency decided to focus on shifting SickKids from a “cause” brand to a “performance” brand in the vein of Nike and Under Amour. 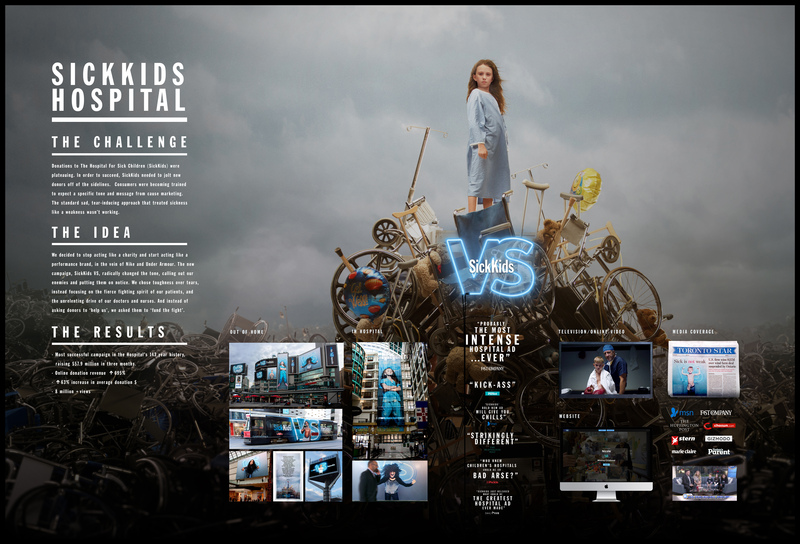 The transformational platform became “SickKids VS” the greatest challenges in child health. The foundation launched with a two-minute film online and on TV during the Toronto Maple Leafs home opener. The video then played at the Leaf’s home game. The team changed all of the signage at the hospital, created OOH billboards and dominated Yonge-Dundas square and TTC streetcars. For the period of October 2016 to December 2016 SickKids tracked an all-time donation record for a campaign of $57.9 million. Online donation revenue increased 695%, transactions rose by 32% in and the average donation dollar value increased by 63%. There was also an unprecedented increase in male and millennial donations, eight million video views and 4,000 “VS” t-shirts were sold.